As millenials flock to major cities for professional opportunities, it seems their chances of being able to buy a home are slimmer than they realize. While nearly 80 percent of millennial homebuyers say they plan on purchasing a home someday, more than 40 percent have not started saving for a down payment. 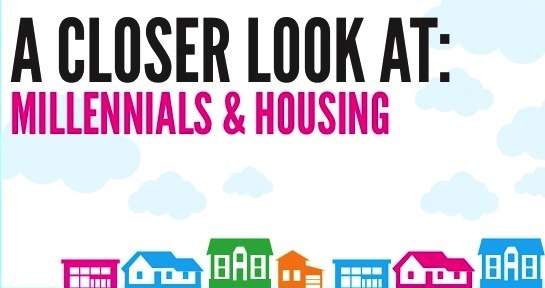 A 2016 study by Apartment List surveyed 30,000 renters and found that for 77 percent of generation y, affordability is the largest obstacle standing in their way of homeownership. The problem is particularly acute for those on the West Coast, in cities such as San Francisco, San Diego, Seattle and Los Angeles. The most expensive cities always require hefty down payments, which the generation y often underestimates. Those living in the expensive cities are also prone to miscalculating the amount of money required for their area’s average down payment- even by 50 percent or more. For example, millennials in San Francisco believe they would need around $70,000 for their first down payment but in reality they would probably need to shell out closer to 140,000. Seattle, Portland and Denver, which aren’t as notorious for being outrageously expensive, are still more out of reach than renters think. From the given information, it is safe to assume many millennials will need a decade or more before they can afford a down payment on a house. Among older millennials, more than 70 percent are saving less than $200 each month, even in expensive cities like Boston. In the second quarter of 2015, U.S. homeownership rate reached its lowest level in 50 years, with the rate among millennials continuing to decline. It is likely that eventually, millennials will relocate to more affordable cities like Atlanta and Charlotte, or will continue to delay homeownership along with starting a family.